SilentOwl, the premium immersive music experience in town! Want to be a party trend-setter? Savour the new revolutionary way of partying. SilentOwl provides a true immersive music experience and is the service provider of silent disco. It also gives you an experience of dancing on your own drum by giving you the opportunity to choose the genre of your own. So, to unleash the party animal within you, just connect with SilentOwl. Save yourself from being outdated. It is breaking the stereotype of regular, noisy parties and lets you groove till even after party hours. “At SilentOwl, we know how stressed our lives have become. From career to personal relationships, everything has to be taken a break from and we provide a perfect one. 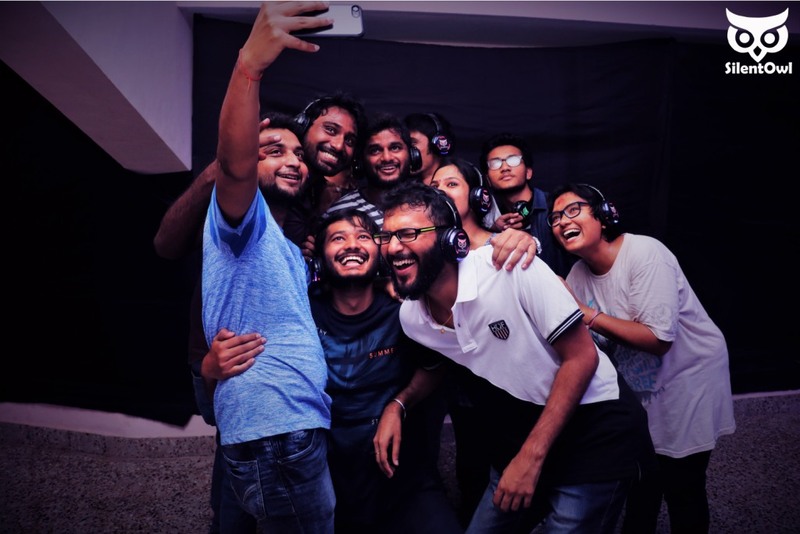 It is about switching from a perfect party symphony to a loner intoxicated with music and vice versa.” says Tanmay Upneja, founder and owner at SilentOwl. SilentOwl gives you the opportunity to be your own DJ even after party hours with music of your choice. It plays three genres of music, i.e. Bollywood & Punjabi fusion, Rock/EDM and Sufi, which you can switch anytime. A swing of two fingers and the volume and channel controls are easily accessible and adjustable. Providing a hassle-free party experience without disturbing either the environment or anybody else. Just take off the headphones to have a fun conversation if you so wish without yelling. The SilentOwl concept garnered huge response in the recent events at the National Law University and Lady Shri Ram College, Delhi University to name a few. The product has also been used in multiple other events such as weddings, birthday parties, college fests and outstation trips across India. SilentOwl is the talk of the town. Try it before your friends do. SilentOwl is a premium immersive music experience provider. It creates deep music experiences for those wishing to enjoy music without disturbing others. It is a friendly solution offering one the dual option of enjoying one’s music and socializing at the same time. Next Post: Elvis Starred in 31 Films – Are People Forgetting His Role in Hollywood? Silent owl seems interesting and worth giving a try. Thanks for sharing.